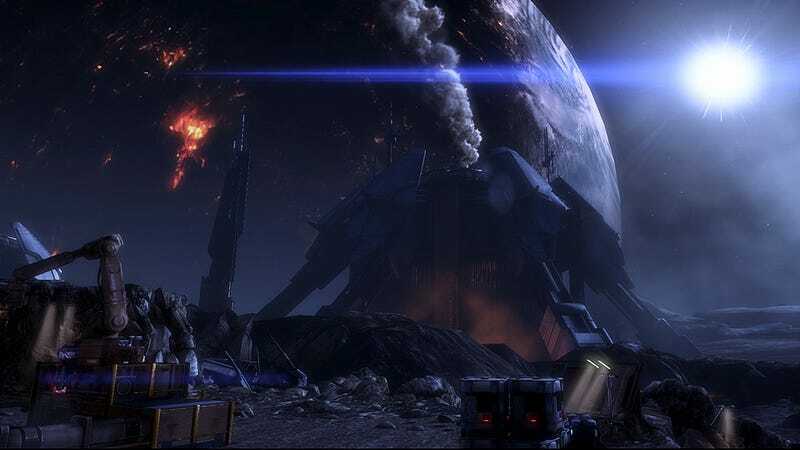 Many players have by now completed the Mass Effect 3 single-player story, but the multiplayer keeps ticking along. To maintain interest, BioWare has been running promotional weekends in the multiplayer game, setting certain goals for players to meet both individually and en masse, and promising item packs for players who meet those goals. One challenge asked the community to kill one million Brutes in a weekend. Another asked players to promote two level 20 characters each into the single-player game. This weekend, in honor of yesterday's free "Resurgence" DLC update, BioWare promises a 10% XP bonus to anyone playing the two new maps. But only, it turns out, for players on the Xbox or PC editions of the game. Previous multiplayer challenge weekends were announced for the PS3 version of the game as well, but were not actually available on the Sony console. No announcement has been made indicating when a compromise solution might be implemented.